Patrick Kelly not only represents home buyers in Texas, but he also lives there. That gives him a decided advantage over other agents. His thorough familiarity and knowledge of Texas’ communities, neighborhoods, and local attractions helps him match his clients with the right home for them. Patrick Kelly is able to give his clients detailed information about the pluses and minuses of each area. Plus, as a certified relocation expert, he stays on top of the latest changes and trends in both the local and national real estate markets. 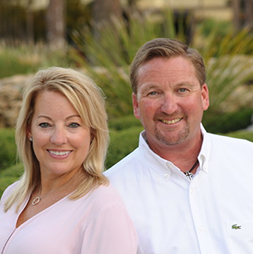 A graduate of SABOR and licensed by the TREC Licensing Board, his educational background, combined with his many years of sales experience, is what makes him an outstanding agent at REMAX Horshoebay Resorts Sales Company Brokerage. His professionalism, winning personality, and personalized service are just what buyers need to find the homes of their dreams. Patrick is a driven agent who gives his clients a smooth and stress-free home buying and selling experience. He understands that every client is different and will work tirelessly to help them achieve their real estate goals. There is no one-size-fits-all method for representing his clients in their real estate transactions. Patrick Kelly works hard to get his clients the best deal whether they are buying or selling a home. Most importantly, he is there every step of the way to answer his clients’ questions promptly and straightforwardly. Helping his clients understand the whole process is part of the job according to Patrick Kelly. His goal is to serve as a trusted advisor and guide, educating his clients so that they are a part of the process. His invaluable input saves home buyers thousands and gets sellers the best asking price possible. That is exactly the type of agent buyers and sellers want and need! There is a lot of peace of mind that comes with working with Patrick. He puts the effort and time into building strong relationships with his clients, which is crucial to creating a positive real estate experience. When there are tough choices to be made and important details to iron out, his clients trust him to help them make the right decisions. Patrick Kelly exemplifies the quality agents that represent Horshoebay. He doesn’t push his clients into buying more house than they can afford and he doesn’t hold back any information about the neighborhoods in Texas. He is always on his clients’ side as a loyal friend. With all that he offers, probably the best thing about working with Patrick Kelly is the hassle-free experience he provides. He does the heavy lifting: crunching the numbers, searching through thousands of listings, and negotiating with sellers or buyers agents so that his clients aren’t stressed out. Does Patrick sound too good to be true? Believe it or not, he is just that good and is ready right now to start the process of buying or selling a home with you. The best way to find out just how good he is is to talk to Patrick today! We are positive that you will agree that Patrick is the best agent in Texas! Take a look around Patrick’s site to see the type of properties Patrick represents and all of the services that he provides. If you are ready to work with an agent who puts you and your needs first, he is just one phone call away. Fill out the contact form or simply pick up the phone to talk to Patrick today!